Try using stewed, roasted, sun-dried, or pureed tomatoes when fresh tomatoes are out of season. You will need about 4 medium-sized tomatoes when a recipe calls for one pound. 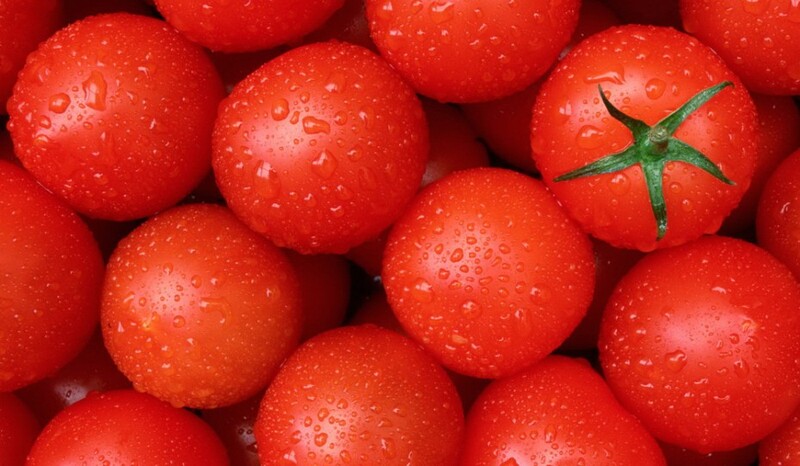 It is sometimes better to remove the seeds when adding fresh tomatoes to a dish. Cut the tomato in half crosswise. Hold a half in one hand and poke the seeds out with your finger while gently squeezing. To roast: Preheat oven to 300°. Cut several plum tomatoes in half. Toss with olive oil, salt and pepper, and if desired, fresh or dried herbs. Set cut side-up on a baking sheet or shallow roasting pan. Roast for 3 hours until soft and lightly caramelized on the bottom. Use roasted tomatoes in pasta dishes, salads, sandwiches, stews, or any dish that suits your fancy. Tomatoes work well with all kinds of herbs and spices. Try cilantro, basil, oregano, thyme, dill, black pepper, cumin, or coriander.